Today’s private equity fund holdings are more complex than ever, which has given rise to ever-increasing regulatory scrutiny. To value portfolios fairly, you need experts who understand and can support dynamic value standards for illiquid and intangible assets. 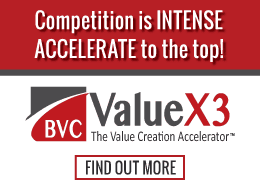 BVC has unparalleled expertise in private equity fund valuation. We’ve valued single investments and full portfolios for hundreds of companies. Our close relationship with the SBIC Program and its administrators gives you the confidence of knowing a BVC valuation will withstand any examination. Who better to prepare and support your valuation than the people who re-wrote the valuation guidelines used by those very regulators? We recognize that private equity funds have their own particular needs. Due to their unique operating climate they often require a different level of technical expertise and robustness of service. We are very comfortable operating in the private equity world and have extensive experience with its unique requirements. We provide fund-level valuation services to satisfy the fund’s own financial reporting requirements. But we also provide our entire range of valuation services to each of the fund’s portfolio companies. At one time or another all of the valuation services BVC offers are needed by private equity funds in addressing their portfolio companies. Due to our extensive experience with private equity, many fund managers use us as the one -stop shop for all their valuation needs. We understand them. We can work with them. We get them what they need and do it right the first time. We are the trusted, objective arbiter of fair value in what is often an adversarial environment: valuation guideline compliance, IRS issues, SEC financial reporting, purchase price allocations, merger and acquisition pricing, or disputes between shareholders. 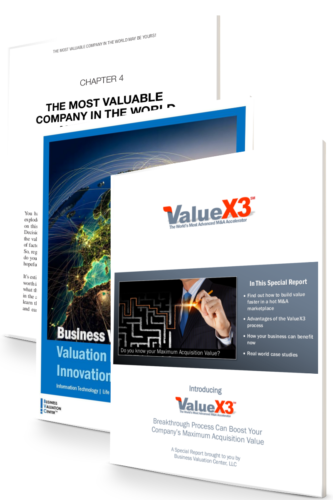 As the primary valuation advisor for the Small Business Investment Company Program — with more than $24 billion invested in 4,500 companies — BVC was asked to author a comprehensive report on the adequacy and applicability of current venture capital and private equity valuation methodologies. This report recommended significant revisions to SBA’s valuation guidelines. Most of the recommendations have been incorporated into the current set of SBA’s Valuation Guidelines for Small Business Investment Companies (SBICs) and related TechNotes. Our private equity valuation services cover valuation requirements for both portfolio companies as well as the fund itself. Lynne Anderson, CFO - Megunticook Management Inc.